Text documents are widely used, however, the text steganography is more difficult than other media because of a little redundant information. This paper presents a text steganography methodology appropriate for Arabic Unicode texts that do not use a normal sequential inserting process to overcome the security issues of the current approaches that are sensitive to steg-analysis. 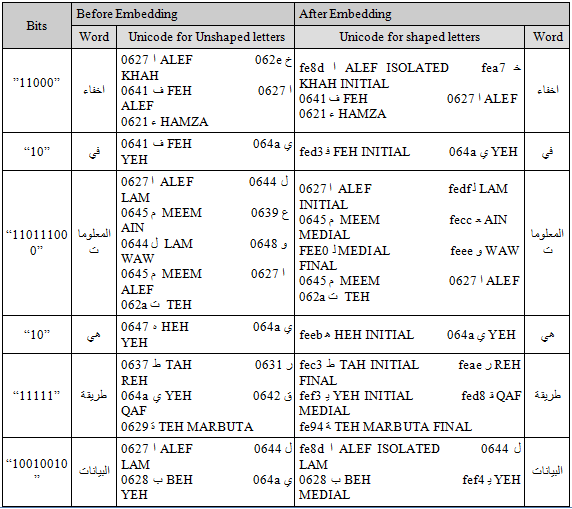 The Arabic Unicode text is kept within main unshaped letters, and the proposed method is used text file as cover text to hide a bit in each letter by reshaping the letters according to its position (beginning, middle, end of the word, or standalone), this hiding process is accomplished through multi-embedding layer where each layer contains all words with the same Tag detected using the POS tagger, and the embedding layers are selected randomly using the stego key to improve the security issues. The experimental result shows that the purposed method satisfied the hiding capacity requirements, improve security, and imperceptibility is better than currently developed approaches. The text is one among the oldest media applied in steganography; before the electronic age, telegrams, letters, and books hid secret information among their texts. Text steganography refers to the concealing of data among the text  and will involve something from changing the format of the text to changing words among a text to generating arbitrary character series or utilizing of context-free grammars to come up with clear interesting texts . Compared to the alternative media, text steganography needs a sound algorithm that may work below the constraint of low hiding capability, and the goal of this work is to make a secure high capability text steganography system for the Arabic language. Different methods are presented on hiding information in Arabic texts: The Dot steganography methodology is used the number of points within Arabic letters to hide data, the dot letters are employed to embed bits by slightly shift dots up to represent the embedding the bit “1” and leave the pointed letter to embed the bit “0”, the robustness of this methodology is weak since it used the identical fixed font . The extension methodology considered two options, the existence of the points within the letters and the repetitive extension character (Kashid) written as «ــ» to embed secret data bits. It uses the pointed letters with Kashid to carry the bit “1” and the un-pointed letters with Kashid to carry the “0”, the authors in  suggest an algorithm to insert Kashida letters according to four insertion scenarios and select one of the four randomly. The authors in , propose an algorithm utilizing of both the Kashida and small space character to hide three bits to achieve high capacity ratio, and these approaches also are helpful to different languages having a similar text to the Arabic language like Urdu and Persian scripts . A hybrid Arabic text steganography method with cryptography was developed, the embedding message is hidden using a Kashida text steganography, and improving the hiding secrets utilizing the redundant extension Kashida character and embedding sensitive data within whitespace . The capacity is also enhanced in  by using Kashida and the whitespace characters between words for hiding, a Kashida will be inserted to hide bit equals to one until no more additions can be handled, and white spaces are inserted between words to hide bit equals to one also, otherwise a zero bit is hidden if the location of Kashida is left empty or whitespace is kept as it is. The work in  proposes an algorithm that uses a small space character and Arabic extension character (Kashida) to hide only one bit while each space is used to hide three bits. Figure 1 shows an example for hiding a message using kashida-based approach. But the most disadvantages of kashida-based strategy is the opportunity to notice the kashida insertion and the capability of this strategy is also variable and depending on the ability of the letter to be extended with kashida. Arabic diacritics methods utilize the diacritics of Arabic text to implement text Steganography. Different methods are implemented to use eight different Arabic diacritical characters found in Arabic text. One of these methods, used Fatha diacritics to represent a bit equal to one and used another diacritic to represents a bit equal to zero, The work  exploits to use two Diacritics (Kasrah and Fatah) to hide information and adjusting the previous works that uses only Fathah and the work utilizing from including or omitting diacritics to hide bits as figure 2 shows an example of embedding bits using Diacritic-based approach . These approaches provide a good capacity, does not need a big computational ability, and may be achieved manually, but are not imperceptible, not appropriate for sensitive text and suspicions raise since it’s uncommon today to transfer discretized text. Figure 2. Example of the diacritics method. In Arabic Unicode text steganography, the Unicode characters are used for hiding information by utilizing of two characters, zero with joiner character (ZWJ), zero with non-joiner character (ZWNJ) that respectively forces Arabic letters to be joined, or forces them from joining together. In this method, zero with joiner is used to hide the bit 1 and zero with non-joiner is used to hide the bit 0. Other methods are used the Zero-Width Character (ZWC) Unicode to hide information through inserting them in Arabic text without occupying any more space, and lossless compression is used to get high embedding capacity in , but actually, the compression algorithm leads to increase the embedding capacity. The authors in  introduce a watermarking approach for hiding in Arabic text by utilizing a small space called a pseudo-space to isolate the connected letters, the bit 1 is hidden by adding pseudo-space after pointed letter, otherwise, the bit 0 is hidden by inserting pseudo-space after un-pointed letter and before normal. Figure 3 shows an example for hiding a message using Unicode-based methods where the Unicode ZWJ and ZWNJ are used. Figure 3. Example of the pseudo-space method. This methodology is improved by authors  to induce a higher capacity, and better imperceptibility property and recommend to insert before/after a space depending on the dot letters or to insert three different little pseudo-space or zero-width space to enhance the capability. However, the most disadvantages of this methodology, the cover size is going to be grown rapidly in embedding a long secret message. This section gives a review of the fundamental concepts to achieve our goal and to implement an Arabic text steganography method considering utilizing from a Part Of Speech (Stanford-pos tagger-full-2018) , replacing the original Unicode letter with corresponding a suitable Unicode that keeps the letters with the same shape, a natural Language processing Toolkit (NLTK), and Python programming language are used as a development environment to satisfy the most common criteria in an efficient design for developing a text steganography algorithm. To achieve out our goal, Natural Language Processing Toolkit (NLTK), and Stanford-pos tagger(full-2018) are used to implement the proposed method. The NLTK is a set of libraries that provides many functionalities, i.e tokenization, part of speech tagging, syntax analysis, and semantic analysis It is written using Python programming language by Steven Bird and Edward Loper at Pennsylvania University. In this work, NLTK is used to split Arabic text file to a sequence of words, and Stanford-pos tagger is used to classify the cover text words according to its part of speech. Valuable information about a word and its neighbors may be given through using a Part-of-speech (POS), Knowing a POS of the word and its neighbor words are important to deal with the grammar structure around the word . In this work, Stanford-pos tagger(full-2018) is used to detect POS for the Arabic words found in the cover text and to construct multi-embedding layers. The letters within Arabic have completely different shapes per its positions within the word. The variety of those shapes are determined by its position within the word, for instance, the letter « ع» is written as « عـ » at the start of the word, as « ـعـ » within the middle of the word, as « ع » at the tip of the word, and as « ع» within the isolated type . Furthermore, the Arabic text is kept in unique unshaped letters represented by a single Unicode for all shapes (beginning, middle, end, and isolated) and these unshaped letters are only rendered according to its position through system software. 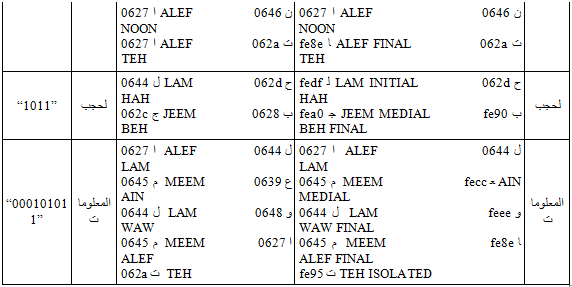 Figure 4 shows the fact that Arabic text-letters are shown differently although the same Unicode code used for all shapes in the text file, and system software is used to shape the Arabic letters to their correct typographically based on the place of a letter (beginning, middle, end, or isolate). Figure 4. Arabic text shaping. 1. Determine the position of the letter in the word, and select a suitable form (isolate form, beginning form, middle form, and a final form). Special cases must take into account such as the letter may have an initial form, but it is in the middle of a word, For example, if Ein « ع» comes after Alef «ا », Ein « ع» has an initial form « عـ » and not a middle form « ـعـ ». 2. Generate a Look up shaping table, where each row of the table represents an unshape letter with all its shape forms. 3. Map down the unshape letter to its shape form using the shaping table. 4. The proposed Arabic text steganography method is utilizing each letter in the cover text to guarantee high embedding capacity. The manipulation of the hidden message is done by reshaping the letter of the cover text to satisfy imperceptibility requirement and kept the cover text size as it. The proposed approach can be used to hide any type of information as a sequence of bits in a text file. For instance, The secret message is inverted to a sequence of bits, and the hiding bits are embedded in Arabic document letters by replacing the original letters with other Unicode for the same letter that gives the same shapes. The maximum number of embedding layers can be selected from the total number of layers, a list of non-repeated random integers from 0 to the maximum layer is generated to be used in encoding or decoding processes, and the layers are selected in sequence that appears in the random layer list and a word is selected from that layer to encode or decode a part of the secret message. As long as the binary sequence of the secret message remains, the processes are done for each word in the layers. When there is no more binary sequence secret message remains to hide the cover text contains the secret message and became stego Document text, and the secret stego key is generated at embedding phase from layer indices and length of the secrete massage, and it is used to detect the integrity of document text at extracting process. The following two sections explain the detailed proposed algorithms for embedding and extracting the secret message. Tagginglist = ((Word1, Tag1 ),…,(Wordm,Tagk)), where Word has a POS Tagj . Layerlist=(Layer1, Layer2, …, LayerN), where N is a number of POS, and Layeri is a layer that has all words with the same POS. SelLayerindices = (10, K-1,0 .., 4), where each index ∈ SelLayers < K.
where WLij is a word at location i of layer j. 8. Read the secret message and convert it to a binary string BinStr. 10. Produce a key from No. of used letters to hide secret message and SelLayerindices list. ExtendedTagginglist = ((Word1, Tag1 , BinWord1 ),…,(Wordm,Tagk, BinWordk)), where Wordi has a POS Tagj . Layerlist=(Layer1, Layer2, …, LayerN), N is the number of POS, and the Layeri contains all words with the same POS. 7. Use stego key to generate the list SelLayerindices of K embedding layers that containing the indices of these layers. 10. Convert the binary string BS to Unicode representation. “إخفاء المعلومات هي طريقة لحجب البيانات في وسيط رقمي لتبادل المعلومات بين طرفين”, and the binary secret message ‘‘11000101101110001011111100100101011000101011″. Six layers are found, the first layer has “NN” POS with 4 words, the second layer has “NNP” POS with 3 words and so on. 4. The step 9, takes each time a word from embedding word list and a chunk of bits from the binary message with length equal, each bit from secret message will be hidden in a letter. If the bit is zero, the letter will be in the original unshaped Unicode the letter will be in a shape Unicode depends on its location (at the beginning, middle, at the end or isolated). Table 1 shown the words of cover text before and after embedding with its Unicode, and the stego-text will be identical to cover text without adding any more bytes. Table 1. Cover text with its Unicode before and after embedding. A multi-layers Arabic Text Steganography based word tagging and letter reshaping are implemented by using Python programming language, Natural Language Toolkit (NLTK), and Stanford-pos tagger (full-2018), where NLTK is used to tokenize Arabic text and Stanford-postage is used to classify Arabic words found in the cover text according to POS tagging. Many methods are proposed for Arabic text steganography using different approaches such as Kashida, Pseudo-space, and Diacritics methods [5, 6, 10, 11, 14, 15, 16]. But Kashida with Moon and Sun Letters method , Open Word Space method (mix different spaces with normal space)  and Kashida and small space method  are achieved more better than others based on the common criteria embedding capacity, invisibility, security, and robustness[5, 20]. 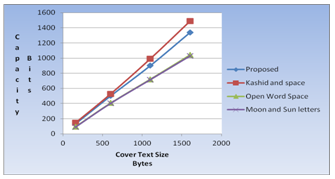 The comparison of this work is done based on these methods and for best comparison, cover texts with the identical size are taken from Open Source Arabic Corpus (OSAC, 2010) . The proposed method embeds more bits than Open Word Space method and Moon and Sun letters method, but less than the Kashid and space method as shown from table 1 and figure 5. Kashid and space method utilizes from Arabic Kashida extension characters and the little space characters where Kashida character or space character is a combination of two approaches and used to insert a character into the cover text to hide either 1 bit or 3 bits which increases the cover size unacceptably affecting its quality, while the proposed method may hide a bit in each letter without inserting any character and its capacity also will be increased rapidly if it combined with other approaches. Table 2. Capacity Comparisons with other methods using different text samples. Figure 5. 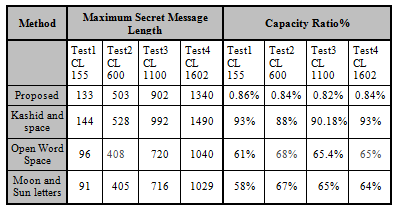 Capacity Comparisons chart for different text samples. The proposed methodology has more imperceptibility than other methods due its visual similarity between the stego text and the cover text and table 3 shown the result of applying our proposed method and alternative methods to the identical cover text, cause of its manipulation of hidden message is done through reshaping the letters of the Arabic cover text that kept the cover text as it. Table 3. Applying text steganography methods to same Arabic text. Besides that, the other methods considered to embed first bit(s) of the secret message at beginning position of the cover text, the next bit(s) of the message will be embedded at the following position and so on and the message will be embedded in only one stream, which leads that the message is destructed more easily than distributed in the cover text. In the proposed approach, even if the hidden message is discovered, it cannot be decoded or dropped from the stego text, since it is used a multi-layer embedding way to hide information through classifying text words into its POS tags, construct an embedding layer for all words with the same tag, and using these layers randomly in inserting message process. In the light of this evidence, our method provides a good balance between embedding, imperceptibility, and security criteria without affecting the Arabic text quality. This work is proposed an Arabic text steganography method by reshaping the Arabic letters through changing its Unicode from unshaped to shaped that provides similar letters shape to embed the secrete massage. This proposed method doesn’t add any more bytes to the cover text when embedding whereas most of the different strategies hide info through modification the size of cover text by adding Arabic kashida character, ZWJ/NZWJ Unicode, discretizes, little space, pseudo-space, and zero width space with traditional word space, and suspicions might be simply raised since it possible to notice the kashida or the discretize characters in kashida-based and discretize-based strategies, and therefore the hiding capability of these strategies are variable that depends on the flexibility of the Arabic letter to be extended with another character (kashida, and discretize), and it’s uncommon these days to send discretized text, whereas all of these different strategies might enlarge the covet text unexpectedly. The proposed method is strong against attack because of multi-layer and randomization are used throughout the embedding process, and also the secret message is inserted according to the detected POS in different word locations of the cover text, and a private secret key is used to prove the authenticity. As a future work, this technique may be used with other compression algorithms similar to the Huffman algorithm rather than using binary bits to represent the concealment message. The proposed technique may be also joined with other Arabic text steganography strategies found in the literature to get higher capacity. Morkel, T., J.H.P. Eloff and M.S. Olivier (2005) “An overview of image steganography”, Proceedings of the Fifth Annual Information Security South Africa Conference: (ISSA2005). Bennett, k., (2004) “Linguistic steganography: survey, analysis, and robustness concerns for hiding information in text”, CERIAS Tech. The report, Purdue University, West Lafayette: IN 47907-2086. Shirali-Shahreza, M., and M. Shirali-Shahreza ( 2006) “A New Approach to Persian/Arabic text steganography”, 5th IEEE/ACIS International Conference on Computer and Information Science: pp. 310-315. Gutub, AAA, L. Ghouti, AA. Amin TM., Alkharobi, and MK. Ibrahim (2007) “Utilizing extension character Kashida with pointed letters for Arabic text digital watermarking”. International Conference on Security and Cryptography – SECRYPT, Barcelona, Spain, July 28 – 31. Aabed, M.A., S.M. Awaideh, A.M. Elshafei and A.A Gutub (2007) “Arabic diacritics based steganography”, Proceedings of the International Conference on Signal Processing and Communications (ICSPC 2007), November 24-27, Dubai, UAE: pp: 756-759. Gutub, A.A., Y.S. Elarian and A.K. Alvi, (2008) “Arabic Text Steganography Using Multiple Diacritics”. 5th IEEE International Workshop on Signal Processing and Its Applications (WoSPA 2008), 18-20, University of Sharjah, Sharjah, United Arab Emirates. Odeh, A., & Elleithy, K. M. (2012) “Steganography in text by merge zwc and space character”., CAINE-2012 25th International Conference on Computer Applications in Industry and Engineering. Reem A. Alotaibi, Lamiae A.Elrefai. 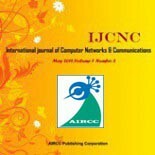 (2016) “Utilizing Word Space with Pointed and Unpointed Letters for Arabic Text Watermarking”, In Proceedings of the IEEE 18th International Conference on Computer Modelling and Simulation (UKSimAMSS), Cambridge, UK, April 2016, 111–116. Stanford-postagger (2018) “https://nlp.stanford.edu/software/tagger.html”, last visit, December, (2018). Hardeniya, N., Perkins, J., Chopra, D., Joshi, N. and Mathur, I. (2016) “Natural Language Processing: Python and NLTK”. Packt Publishing Ltd.
 Jurafsky, D. and Martin, J.H., (2016) “Speech and language processing”. London: Pearson. Shirali-Shahreza, M.H. and M. Shirali-Shahreza (2008) “Steganography in Persian and Arabic Unicode texts using Pseudo-Space and Pseudo connection characters”, Journal of Theoretical and Applied Information Technology. Saad, M. K. and Ashour, W. (2010) “OSAC: Open Source Arabic Corpus”, Proceedings of the 6th International Conference on Electrical and Computer Systems (EECS‟10), Lefke, North Cyprus, pp. 1-6. Taleby Ahvanooey, M., Li, Q., Shim, H.J. and Huang, Y. (2018) “A Comparative Analysis of Information Hiding Techniques for Copyright Protection of Text Documents”. Security and Communication Networks.